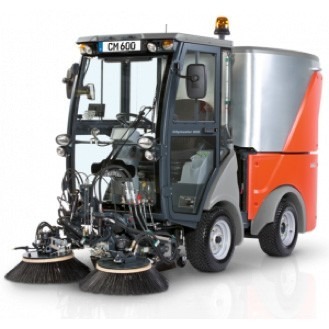 Versatile sweeper – no need to compromise! T-Quip is proud to be the preferred Hako dealer in Western Australia and have supplied many councils and contractors with the Hako brand, the Citymaster 600 is another addition to the well known Hako range that too will meet your demands exactly – with best-possible operating comfort and innovative quick-change system for a range of attachments designed to suit your individual requirements. Hako’s years of experience in the field of compact tractors and sweeping machines are all concentrated in this one machine – use it to your advantage! The all-in-one universal implement carrier with a quick-change system and plenty of different attachments – that’s what we call cost-effective. You only buy what you really need. In the long run, the robust and maintenance friendly design makes the Citymaster 600 profitable. Hako quality pays off quickly.